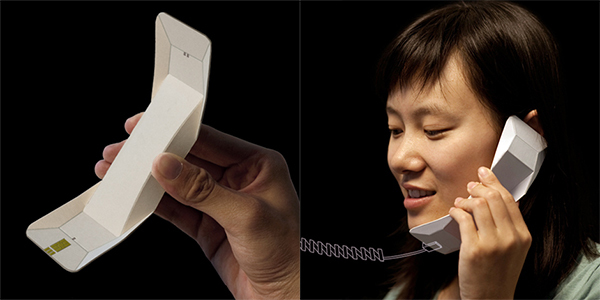 Designer Chengyuan Wei took apart a telephone handset and discovered that the important bits only took up a small space of the interior. 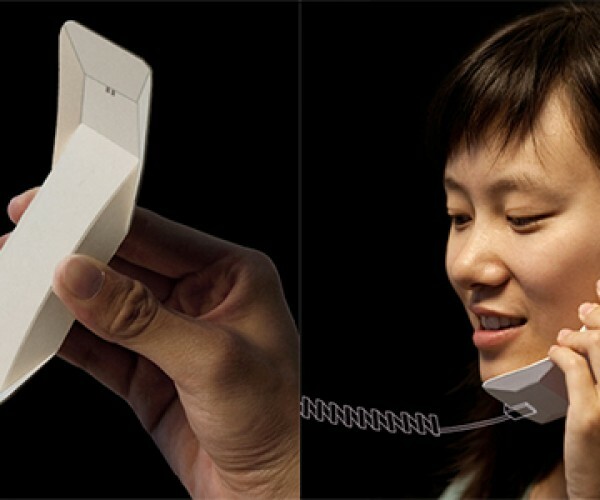 So she thought of designing a handset that was materially efficient and lightweight, and this is what she came up with. 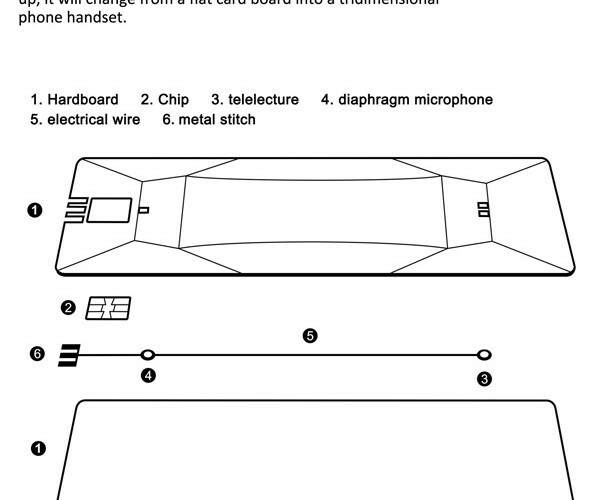 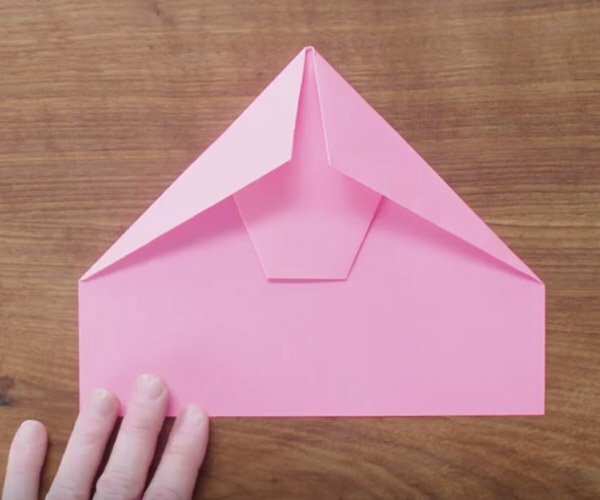 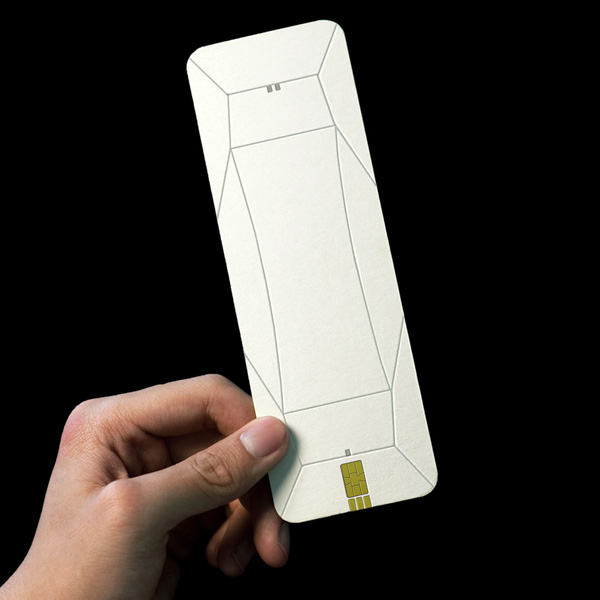 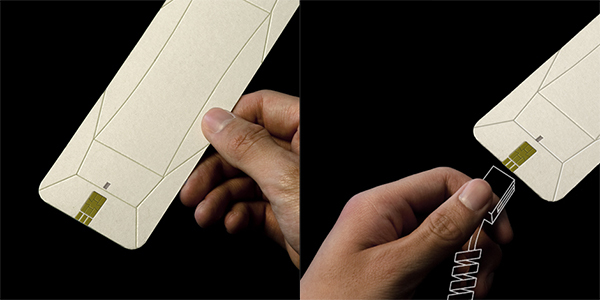 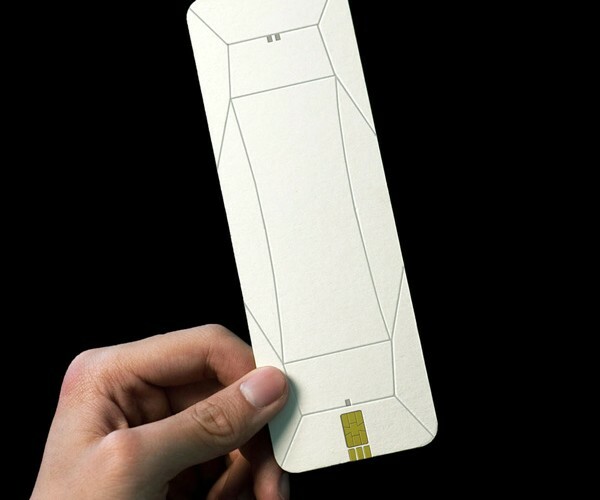 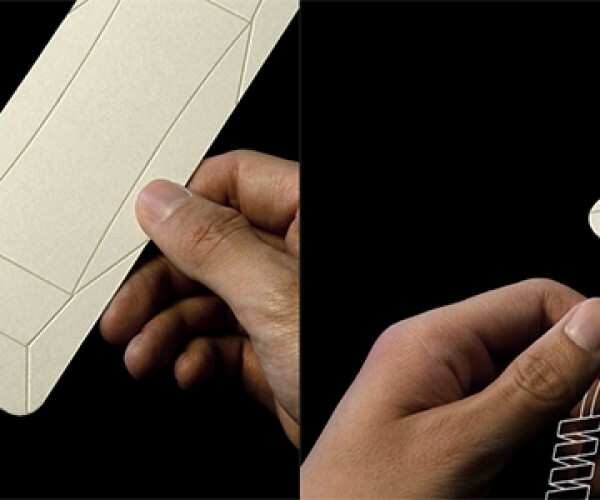 She calls her concept the Origami Handset, although I think it makes more sense to call it a pop-up handset. 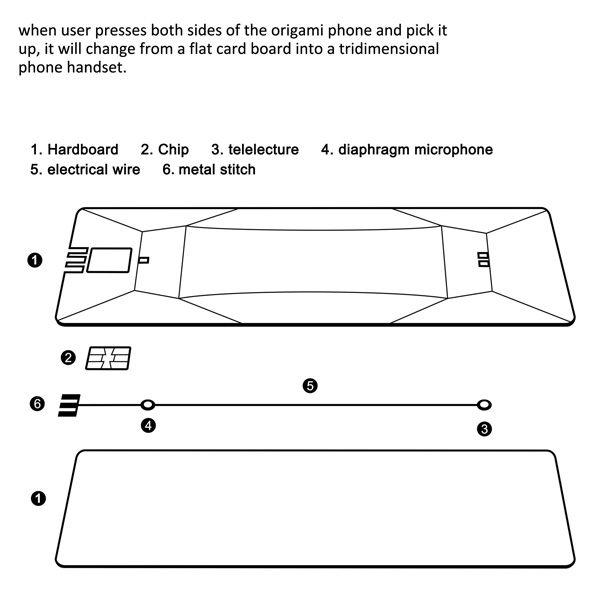 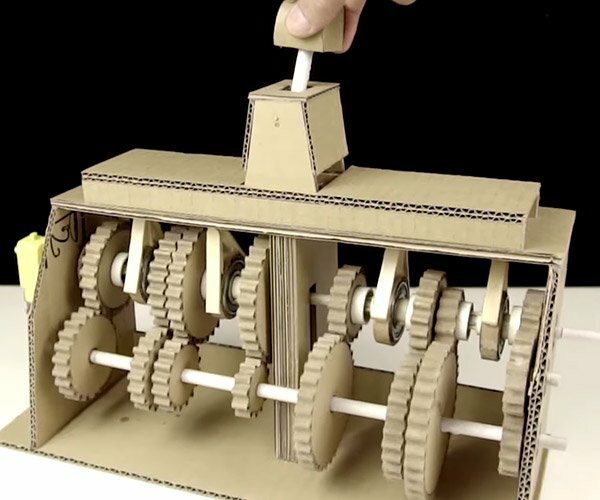 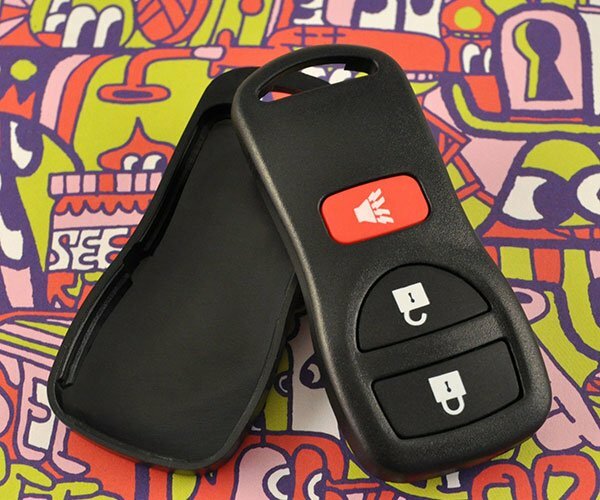 It starts out as a flat sheet, but when you press on the sides the ends pop up, transforming it into a handset. 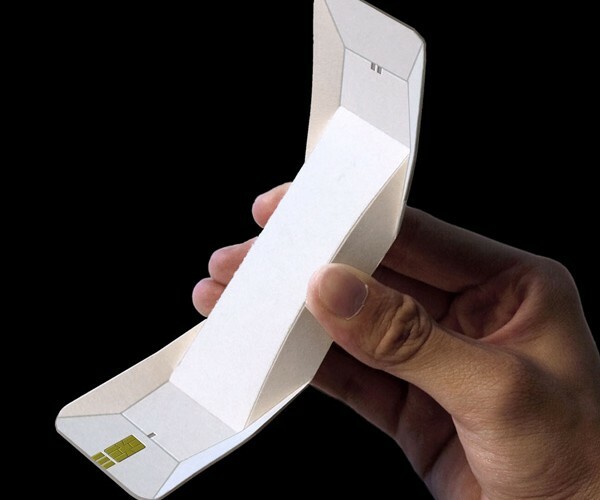 It’s a unique concept, but unless it’s made with recycled paper I don’t think I’d like a disposable paper handset to be mass-produced.